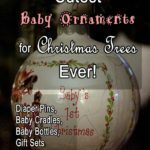 Now that you have your coffee pot tree set up how about getting a few coffee cup ornaments for Christmas trees to balance the look of your kitchen tree? 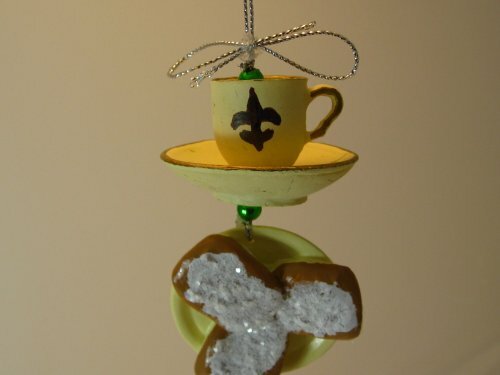 Coffee cup ornaments for Christmas trees come in different shapes, styles and materials. 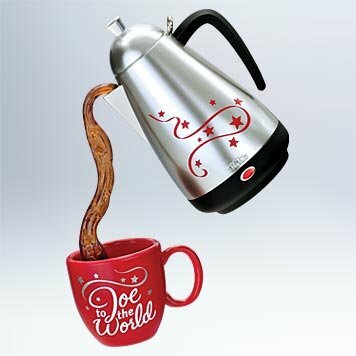 One can find, for example, espresso cups, cappuccino cups, latte cups, coffee cups and mugs, and more on the market. 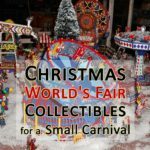 Hand blown glass decorations are among the best sellers on Christmas time. 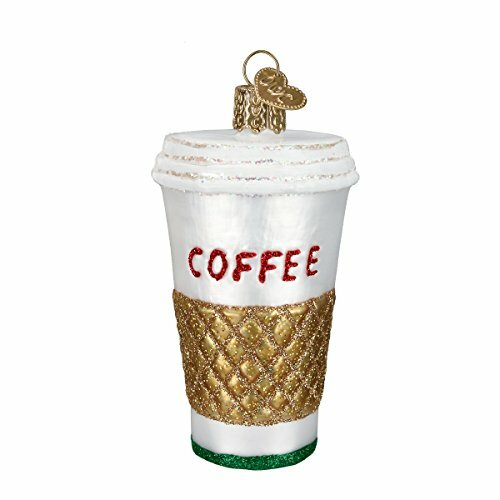 And here we’re going to admire the variety of coffee cup ornaments for Christmas trees that one can find in stores. 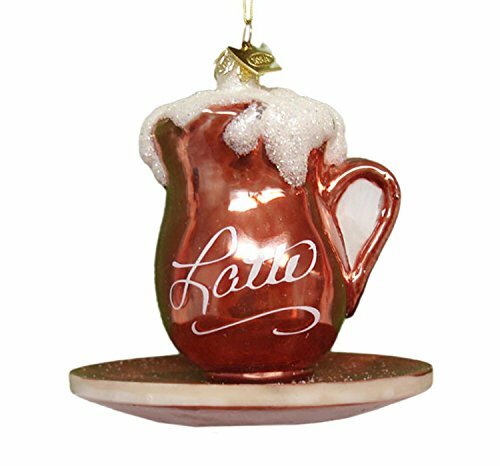 From mouth-blown glass to resin, metal, porcelain and even plastic, these coffee cup ornaments for Christmas trees are beautifully crafted. 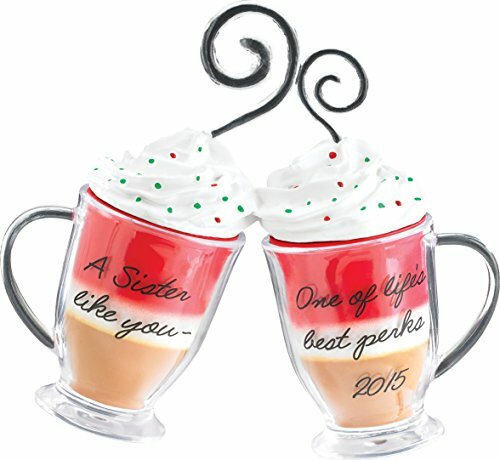 So, let’s see the different sorts of coffees and, therefore, of cups available on the market. 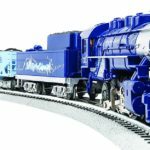 Personally I just love this adorable set that you can build from the cappuccino, latte and espresso cups of the same collection. 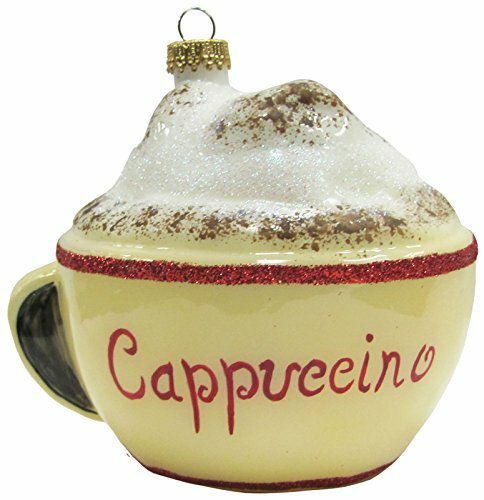 This will make a coffee themed tree outstanding. 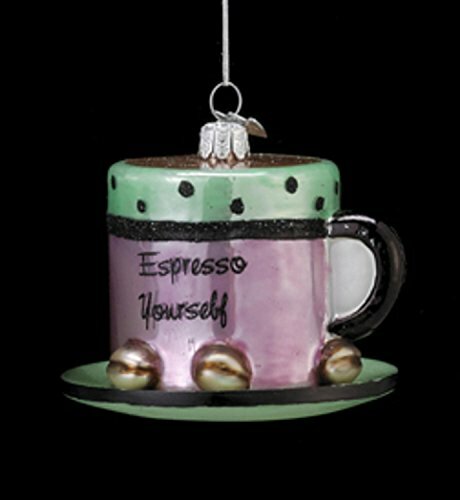 These coffee cup ornaments for Christmas trees are made of hand-blown glass and measure about 3.5″ inch. 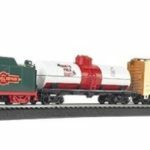 You must buy them separately but they form a terrific set all together. 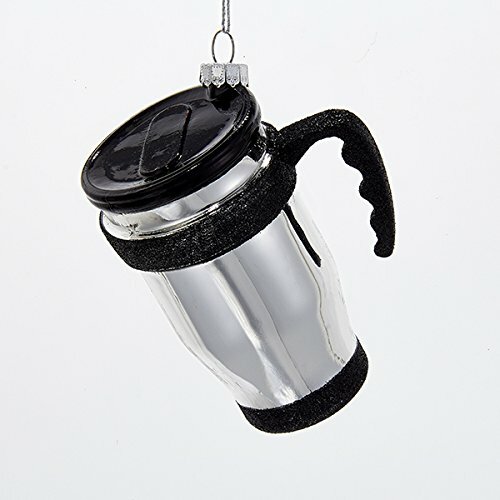 Each coffee cup comes with a hanging cord. 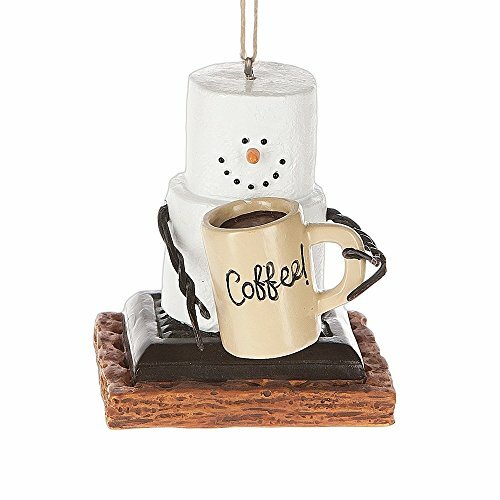 From the Coffee Break Collection, this coffee cup ornament features a cappuccino cup and makes a great to your coffee themed collectibles. 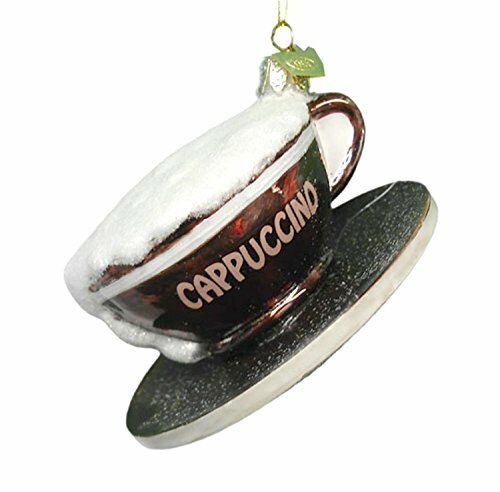 It is made of brown glass and reads “Cappuccino”. 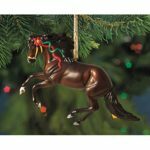 the ornament comes with a gold cord for easy hanging, the ornament measures 2″ x 3.5″x 3.5″. 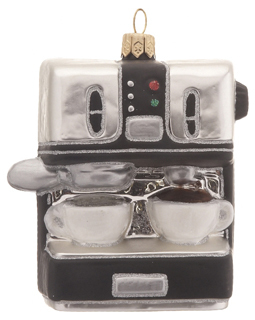 Drink your coffee with style. 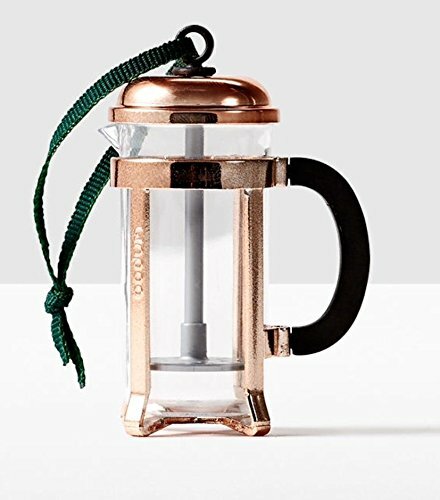 What a beautiful and classy coffee cup Christmas tree ornament. 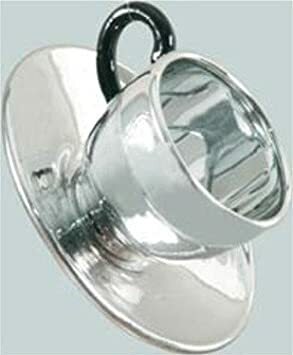 Surely inspired by the greatest hotels, this silver looking coffee cup ornament is made out of glass and measures 2.5″ x 1″. 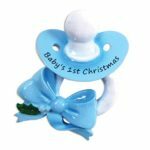 Quite tiny and particularly delicate it is delivered in bubble bag. 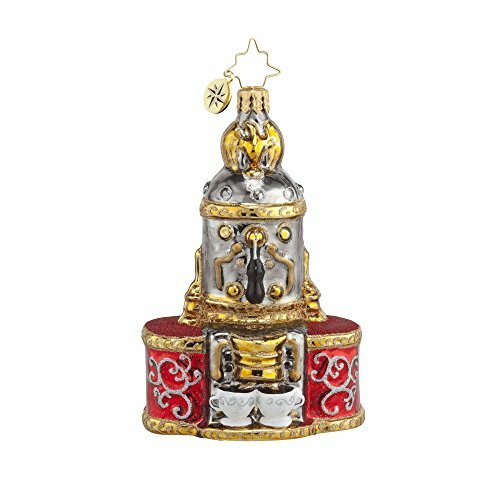 The things I love in this ornament is that although made out of blown glass it looks like a silver cup placed on a silver saucer. 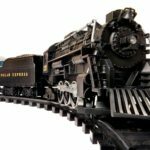 The overall look is quite shiny and the black or brown handle adds a touch of realism to the item. 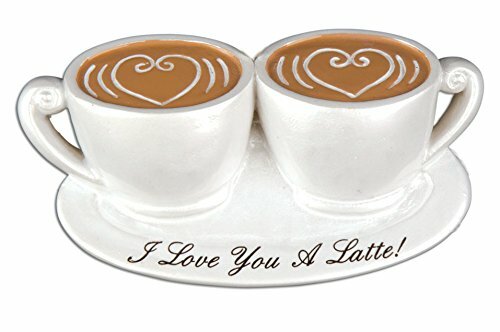 Have a trip to the Italian cafeteria next door and order a latte. 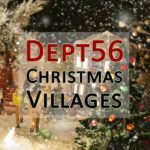 Sip it while reading a guide to Venice and dream of your next holidays while warming you up with this beverage. 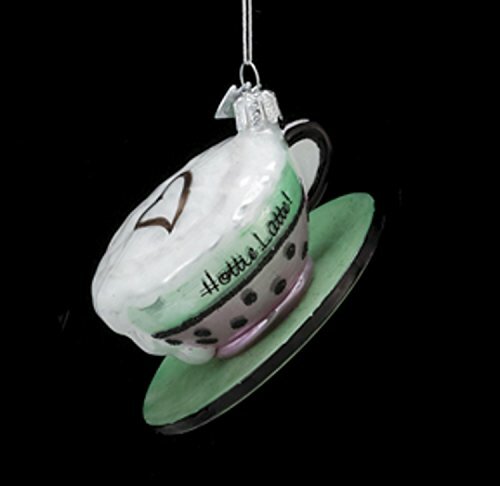 This cute latte cup ornament is made out of and resin and one can read the word “Latte” on it. 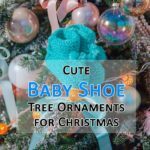 The ornament is adorned with glitter so that it shines in the Christmas tree lights. 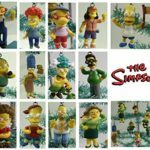 The latte looks like real one and the overall ornament has a very realistic appearance. 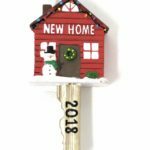 This item measures 3.5″ x 3.5″ x 3.5″ and comes with gold hanging cord. 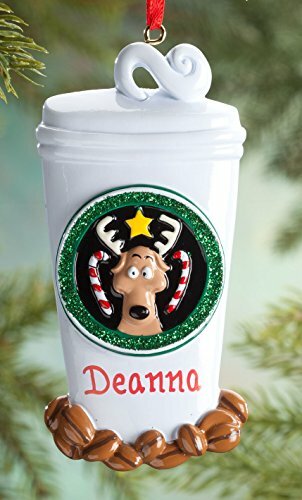 Ah this is my favorite coffee cup tree ornament ! Although I should name it “coffee mug”. 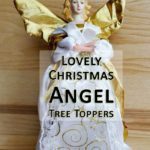 It’s designed by Spode and features their ever popular Christmas tree logo. 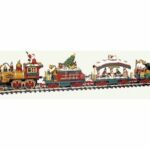 If you aren’t familiar with Spode creations, have a look in the dinnerware section of any good department store and you’ll see that they have a vast Christmas Tree themed collection of holiday dinnerware that ranges from plates to glasses. 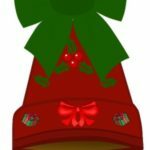 All feature this exquisite Christmas tree just like on this ornament. 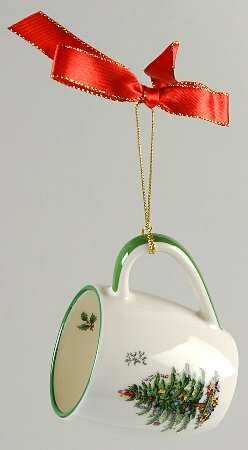 The Spode coffee mug ornament is made out of porcelain and comes with a gold string that’s topped with a red bow. 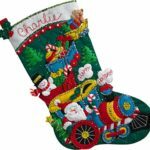 The size of this coffee mug ornament is 2.25 x 3.25 inch. 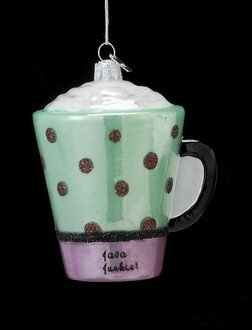 This makes a stunning addition to any Christmas tree, whether coffee themed or not. 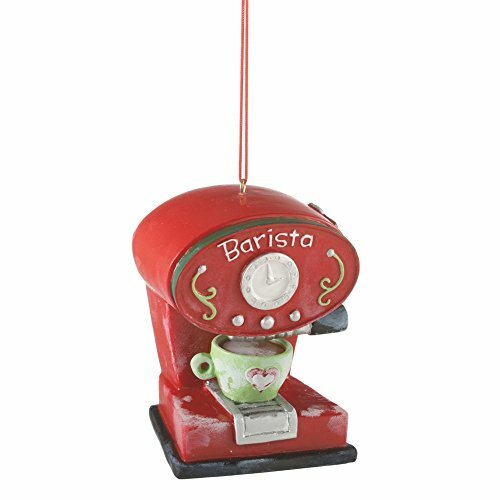 Shop for inexpected coffee ornaments at Ornament Shop dot com, they even let you personalize your gifts with names or greetings. 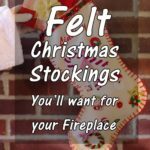 Here are some of them with a humorous touch. 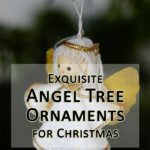 Tagged christmas tree coffee decorations, christmas tree coffee ornaments, coffee bag ornaments, Coffee Cup Christmas Tree Ornaments, coffee cup ornaments, coffee cup ornaments for Christmas trees, coffee decorations, coffee ornaments, coffee pot ornaments, coffee saucer ornament, holidays, themed coffee christmas tree.